Real estate agents in every market find themselves needing a real estate drone video specialist to show off their premium listings. Luckily here in Hampton Roads, there are a lot of opportunities to show off aerial views of the landscape. In Chesapeake drone videos, we like to feature the inviting landscape and rivers. When shooting a Norfolk drone video, a common subject is the Chesapeake bay and beaches near shore drive. 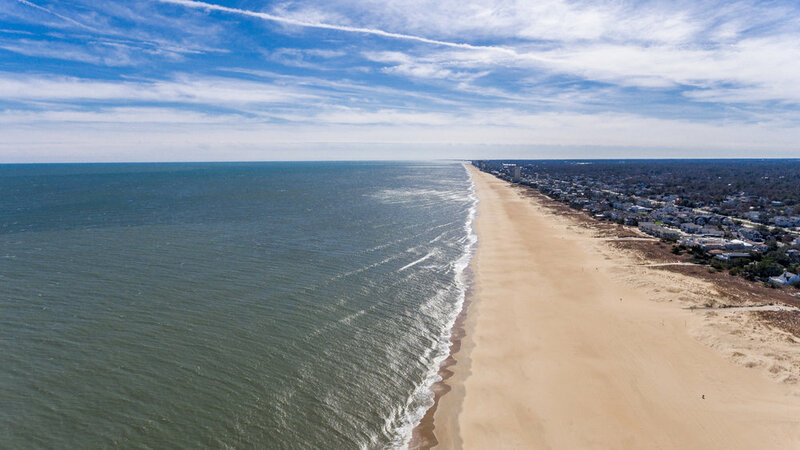 When we go out to capture a Virginia Beach drone video, the most popular subject is the Oceanfront area around the beaches. Even the most immaculate property can benefit from an aerial photography and aerial video tour. Drone photos and drone videos are a great asset when listing a home because it gives buyers a sense of the landscape and proximity to features that they may be interested in. In the same way that most industry listing sites show nearby schools, using aerial drone video and drone photography lets the buyer get a feel for the neighborhood. Agents that leverage the services of a great real estate drone video producer can use the media from their current listed properties to demonstrate how all of their homes are presented at listing appointments, winning clients that may be on the FSBO fence. Are you looking in to using drone video and drone photo services for your next listing? Some helpful destinations are listed below.